Iranian Artist Cuts Salvador Dalí’s Moustache! Home Culture Art Iranian Artist Cuts Salvador Dalí’s Moustache! 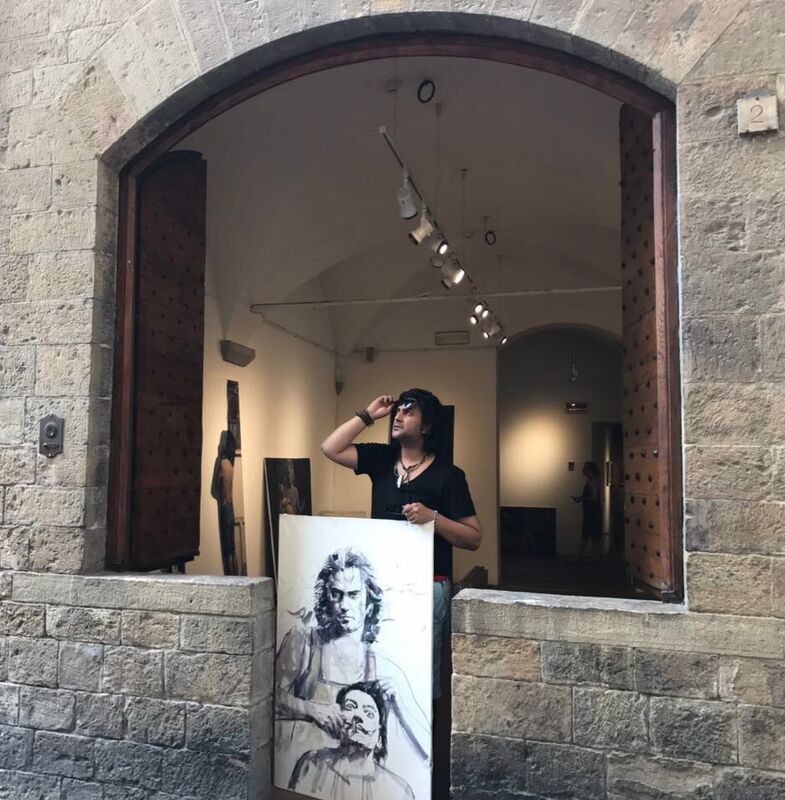 An exhibition of works by Iranian artist Amir-Mohammad Qassemizadeh was recently held in Casa di Dante (House of Dante) in Florence, Italy. The exhibition of Qassemizadeh’s artworks was held in Florence on June 17. The exhibit included two collections of works under the title “Wood Wounds” and “Tribute to the Great Masters”. A Farsi report by the Honar Online news agency has quoted the PR department of the exhibition as saying that the works of Iranian painter and sculptor Qassemizadeh were put on the show after Dante Foundation in Italy invited him to hold the exhibition in the Italian city. The portrait of Qasemizadeh has been installed and kept at the main Hall of Casa di Dante, along with those of contemporary Italian painters. This has been done at the suggestion of the board of directors of the Dante House. A meeting was also held to review the works of Qassemizadeh in the city of Florence. During the meeting, Professor Riccardo Carapelli, a critic of the history of Italian art, expressed his views on the works of this Iranian artist. 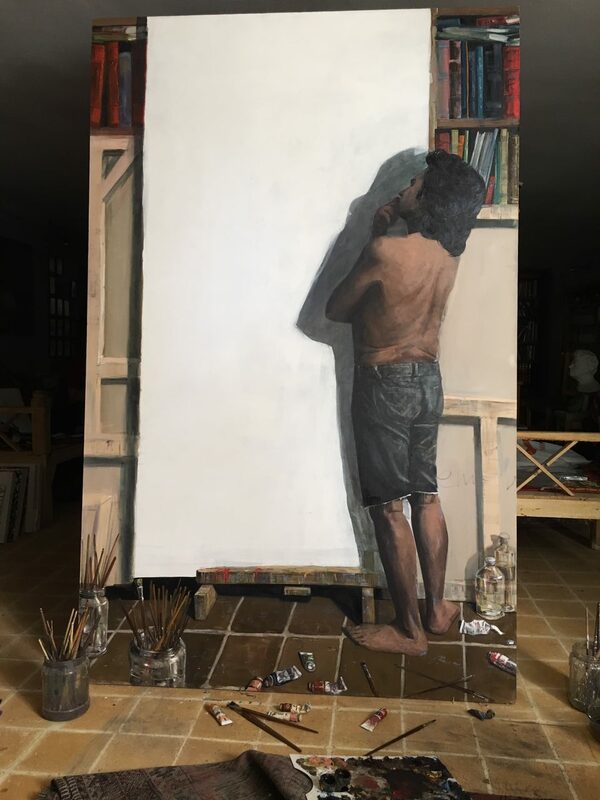 “Using his dexterous techniques, he has come up with simple sketches, but this path has only a simple appearance. These works simplify letters and words, but this is not the reason for their simplicity. Therefore, content and meaning in his works are of particular importance. He expresses inner suffering with his poetic art,” Carapelli said. “In another work, the painter is cutting Salvador Dalí’s moustache and this is one of the best ones. The horrified, and anxious Dalí is under great pressure, as another painter is cutting his moustache. 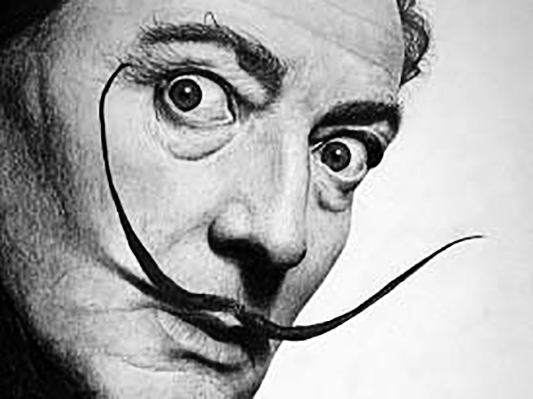 Cutting the mustache of surrealism, which of course I agree with,” the Italian critic underpinned. Part of Qasemizadeh’s exhibition is dedicated to portraits of Dante and other famous figures of visual arts. “I feel proud when I see a collection in which there are pictures of Michelangelo, Da Vinci, Raphael and the contemporary artists such as Umberto Boccioni, Modigliani and Jacquemontii. I enjoy when I see a young artist from Iran depicts a deep understanding of their works and I’m sorry for many of my compatriots who do not know many of these great figures,” he went on to say. Dante’s House dates back to the 19th century when a number of impressionist painters and other outstanding Italian artists ran it.